Secret Superstar First Day (Thursday) Box Office Collection. 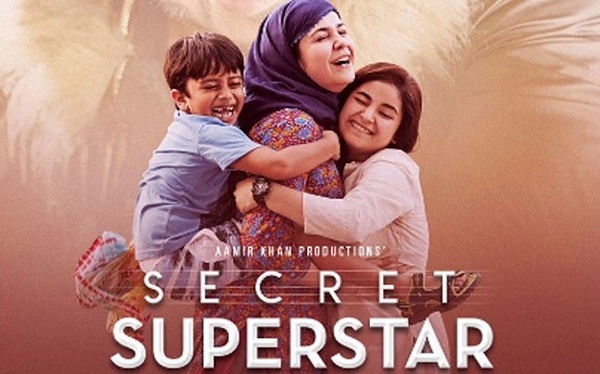 Secret Superstar has taken slow but decent start at box office on opening day (Thursday). Film is affected big time because of Diwali Puja and hope it picks up big on day 2. Secret Superstar has collected an approx 4.8 crore nett on day one. Ideally film needed to be close to 6-7 crore nett mark considering film had a screening of over 2000 screens across India. Still considering release date, film cost and genre, collections are very decent. Friday will tell the real picture. Initial Word of Mouth of Secret Superstar is positive. Means film should definitely register big growth through the weekend now. Secret Superstar will aim for double digit finish on day 2 for sure. Film has got screening of around 1800 screens and it should be achievable even with a good occupancy for the day. Film is performing decent in multiplexes specially in bigger cities. Business in interiors and single screens are not that great for day one. Hope it does well there also from today onward.